As schools and workplaces have started requiring first aid and CPR certification, students and employees have been flocking to Hamilton First Aid to get quality training. Basic first aid, cardiopulmomary resuscitation (CPR), and automated external defibrillation (AED) are part of the full training program. Students can also enrol for CPR-only classes, private classes, and refresher programs. Re-certification courses include standard, emergency and childcare first aid as well as stand-alone CPR programs such as level “C” and “HCP”. All courses include training and certification in the use of AED’s. Find a list of available programs and class details on the Hamilton First Aid webpage. Compared to other training service providers, Hamilton First Aid offers the most number of ways to sign up for a class. Students can sign up for a class through e-mail, telephone call, or walk-in during business hours. Any request sent through e-mail or the online registration form will only be attended to during business hours. First aid programs run for 18 hours, with classes available throughout the week (even evenings and weekends). Refresher programs are available at least twice a week. However, students might still have difficulties finding a class schedules, so Hamilton First Aid makes private classes an option to trainees. Instructors are available for training at home or for special events like team building. Companies usually hire Hamilton First Aid trainers for conferences and other employee training events. Different instructors have different rates so inquire through e-mail or telephone call before booking one. First aid classes teach students how to recognize and manage a variety of different injuries. Bleeding, choking, burns, and falls are just some of the injuries that trainees at Hamilton First Aid will learn to manage. A lot of class hours are spent practicing skills using AED trainers, training mannequins, and first aid training kits. 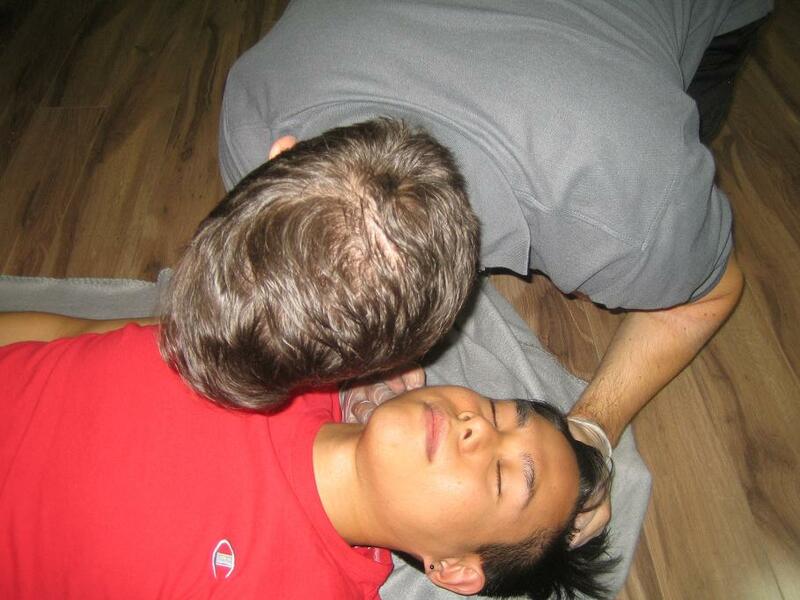 CPR is also included in the full training course but CPR-only classes are also available. Upon passing a program, students receive a St Mark James certificate card valid for three years throughout Canada. Expiring or near-expiry certificates can be renewed / re-certified at refresher programs. First aid recertification includes CPR (level C, A or HCP) recertification as well. Sleep apnea is a disorder wherein a person stops breathing for several seconds repeatedly during sleep. There are two kinds of sleep apnea: obstructive and and central. Obstructive apnea occurs when the throat muscles relax or momentarily collapse, obstructing the airway. Central sleep apnea alludes a possible cerebral problem as the brain doesn’t send signals to the muscles that control breathing. What Day Would You Like To Take This Course On?